Well, there are two answers to that, both true. One is that I really wanted to pay tribute to London Calling, or any of the band's other classic albums (except for Combat Rock, which I covered a while back), but most of KEXP's Clash albums are unbesmirched by little white review labels, which means one of two things: everyone just agreed they were perfect and didn't bother to comment, or they were stolen (possibly multiple times) and finally replaced at a time when nobody felt like writing a review. The second answer is that sometimes the nasty reviews are just more fun. 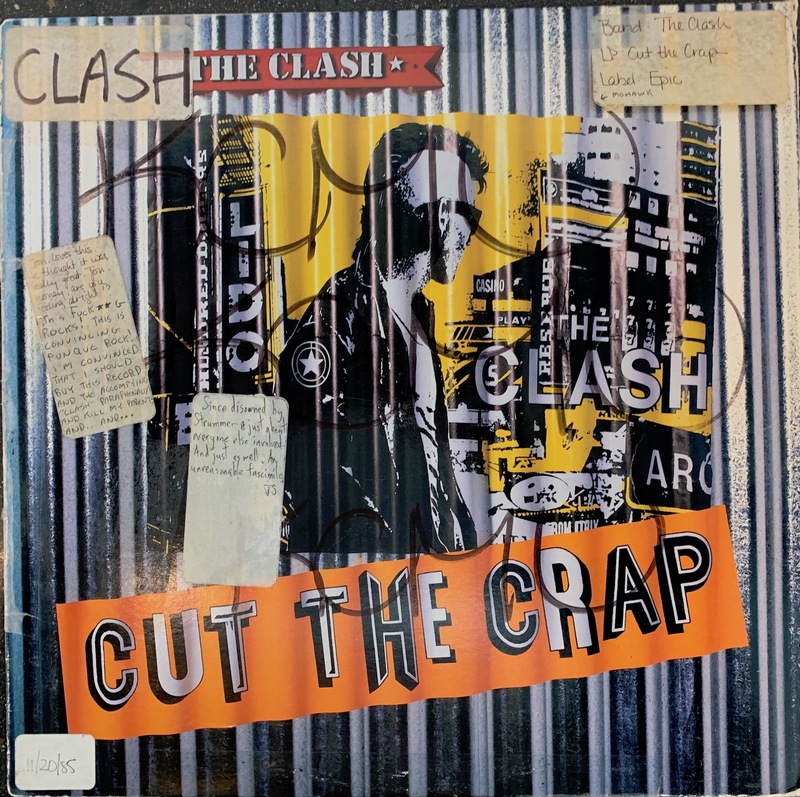 Anyway, here it is: Cut the Crap. You probably don't ever need to listen to it (except maybe "This Is England"), but you can read these comments while listening to London Calling, and remind yourself that even geniuses make crap from time to time. "Since disowned by Strummer & just about everyone else involved. And just as well. An unreasonable facsimile." This week's Review Revue spotlights the album Dog Eat Dog by Animal Slaves. See what KCMU DJs thought back in the day.